Harness the full potential of the sun with Bergstrom's innovative Solar Energy Systems. Our flexible solar panels conform to any surface and are virtually unbreakable. You'll get more power. Increased durability. More comfortable drivers. And more run time! All adding up to measurable ROI starting from the moment you install. Together with Merlin Solar's patented technology, Bergstrom has taken existing solar solutions and made them better. Take driver comfort to the next level by using solar energy to significantly extend the run time of electric HVAC systems such as Bergstrom's NITE no-idle solution. Use excess solar energy to augment charging of the truck batteries, extending use of hotel loads without idling the engine. The Bergstrom Solar Energy System will be a valuable addition to your fleet. Most of our customers see a full return of their investment in 6 to 18 months. Extend power availability without idling engine. Add up to 10 hours of run-time. Excellent charge source for your batteries. Reduce battery depth of discharge. Extend battery life by up to 200 percent. Reduce frequency of costly DPF cleaning, oil changes and engine overhauls. 30% Solar Investment Tax Credit available! Consult your tax advisor for more information. Versatile shapes to suit any surface size and features. 1/8-inch thick, flexible & lightweight panels. Efficient capture and delivery of clean energy. How does Bergstrom stack up against the competition? Bergstrom's Solar Energy System is unlike any system on the market. When you install the solution, you'll quickly realize the benefits of the most powerful and durable solar panel for the transportation industry. 60% more amp-hours delivered to the battery when compared to conventional solar systems. Improved light capture and reduced sheet resistance. Bergstrom's panels with patented Merlin technology lasted for more than 900 temperature cycles compared to fewer than 120 cycles on competitive panels. Substantially increases output over competitive solar systems in real-world conditions. Superior performance under all light conditions, including low sun angle and shade. 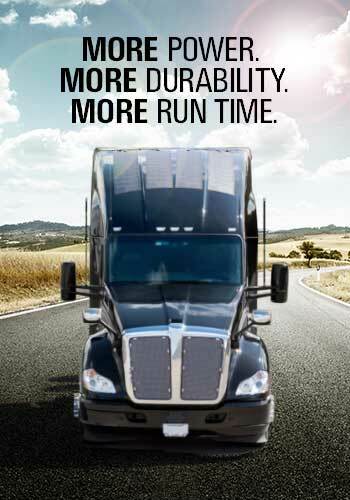 Delivers maximum possible power throughout the day, all year long. Quick return on investment. 6- to 18-month payback. A simple "Plug & Play" system results in an easy, low-cost installation. Improves battery lifetime by up to 200%. 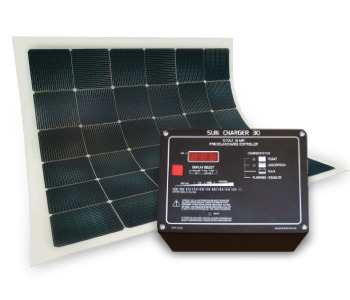 Solar panels easily integrate with Bergstrom NITE systems and other vehicle battery systems. 24, 48, 60 and 72 cell panel configurations. Thin, lightweight and flexible panels are less than 1/8” thick and weigh just .7 PSF. Optional digital display that monitors solar performance. Built-in safety features include a commercial grade solar disconnect switch and electrical protection for short circuit, overload, surge and reverse current (nighttime). These provide a highly reliable system that helps prevent electronic component failures. Outer ETFE (fluoropolymer) layer is resistant to soiling and doesn’t require regular cleaning. Manufactured in the U.S. and sourced from Tier 1 suppliers. Continually subjected to rigorous environmental and accelerated life-cycle testing beyond industry requirements. Attached with an adhesive rated to withstand a minimum of 150-mph winds. 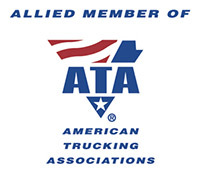 Components are designed to withstand harsh environments, truck washes and snow blades. For more information, contact Toby Tuckley, Solar Business Development Manager, today.